Leslie William Threadgill, born June 15th, 1923, passed away peacefully on Thursday, August 30th, 2018 at the age of 95 years. 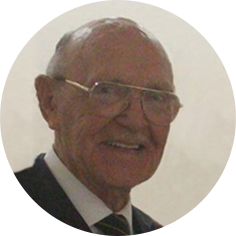 Leslie was born in London, England and had a successful, fulfilling career as a police officer after having served in the Royal Berkshire Regiment through WWII and up to 1950. He gave his all to his family, giving us all a solid foundation on which to move forward now together, making family first and foremost. Leslie will be lovingly remembered “always and forever” by his daughter, Sarah Bittles (John Gabel); son, Paul Harris (Kathy); step-daughter, Susan; grandchildren: Emma (Scott), Ashley (Shelby), James (Cindy), Stella, and John; great-grandchildren: Kennedy, Kendall and Jeffery, Abel and Shilo, William and Sam; special friends: Nichola and Iain Taylor and their daughter Elize; and extended family, Terry Bittles (Sandy). In keeping with Leslie’s wishes, a Private Family Service will be held at a later date. As an expression of sympathy, donations may be made to Parkinson Canada, 610 Duchess St, Saskatoon, SK S7K 0R1 in memory of Beryl Threadgill. My sincere condolences for the loss of Leslie Threadgill. A lovely man and a great loss to all the family. God bless to Sarah and may you find help through the tough days ahead without him but gain the strength and courage to remember him with great joy.